Joyce brings a wealth of knowledge and experience to our Board. She will serve as an especially good role model to our students who are interested in pursuing careers in information technology and risk management, or who seek the mentorship of a highly accomplished entrepreneur. Drew University has added Joyce Brocaglia, CEO of Alta Associates and Founder of the Executive Women’s Forum on Information Security, Risk Management & Privacy (EWF), to its Board of Trustees. Joyce Brocaglia brings experience in executive recruitment and business operations as CEO of her executive search firm, Alta Associates, which specializes in cyber security, IT risk management and security. Joyce also brings a broad experience and knowledge of advancing women leaders as the founder of the EWF. Now in its 150th year, Drew University’s Board of Trustees meets regularly to provide direction and set policy for Drew. In September, trustees approved a plan to reduce tuition by 20 percent next year to make education more affordable to more students. Details on the initiative can be found here. 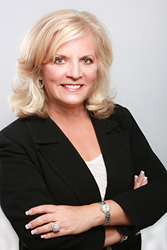 Joyce Brocaglia founded Alta Associates in 1986. Alta is the most prominent boutique executive search firm specializing in Information Security, Cybersecurity and IT Risk Management. Alta ranked as one of the top 50 executive search firms in the U.S. It has an unprecedented track record of placing CISOs and building world-class organizations. Joyce is a strategic advisor to her clients who have gained the trust and respect of the industry’s most influential executives by accomplishing their strategic and diverse hiring goals. She is a career advisor to industry thought leaders and sought after for her deep knowledge of the industry, market conditions, and building diverse workforces. Brocaglia is known for her commitment to engaging, developing and advancing women leaders. In 2002 Joyce founded the Executive Women’s Forum on Information Security, Risk Management & Privacy. Today the EWF is the largest member organization serving emerging leaders as well as the most prominent and influential female executives in their field. Drew University, a Phi Beta Kappa liberal arts university, includes the College of Liberal Arts, the Drew Theological School and the Caspersen School of Graduate Studies. Drew is located on a beautiful, wooded, 186-acre campus in Madison, New Jersey, a thriving small town close to New York City. It has a total enrollment of more than 2,000 students and 145 full-time faculty members, with 94 percent holding the terminal degree in their field. The Theological and Caspersen Schools offer MA and Ph.D. degrees and the College confers BA degrees in 30 disciplines. Drew is dedicated to exceptional faculty mentorship, a commitment to connecting the campus with the community and a focus on experiential learning. For more information visit: http://www.drew.edu. Founded in 1986 Alta Associates is widely acknowledged as the leading boutique executive search firm specializing in Information Security, Cybersecurity, and IT Risk Management. Alta is recognized for their deep understanding of the information security industry and the drives that shape it. Having successfully partnered with global enterprises for 30 years, Alta has filled many of the most high profile Chief Information Security Officer roles and built world class Information Security, Cybersecurity and IT Risk organizations. Alta is well known for their ability to attract and deliver top tier executives and the teams that support them. Alta is named as one of the top 50 executive search firms in the United States. For more information visit: http://www.altaassociates.com or call 908-806-8442. Founded in 2002, the Executive Women’s Forum on Information Security, Risk Management & Privacy (EWF) is the largest member organization dedicated to engaging, advancing and developing women leaders in Cybersecurity, IT Risk Management, Governance Risk & Compliance and Privacy. The EWF serves emerging leaders as well as the most prominent and influential women in our field by facilitating programs and events throughout the year including a National Conference, regional meetings, leadership development and mentorship programs as well as interaction with global thought leaders through an online community. For more information visit: http://www.ewf-usa.com.